Before you can get qualified for a VA Loan, you must first show that you are eligible. This means that you, the borrower, need to obtain your Certificate of Eligibility, which you can get from the VA. But before you do that, it’s probably best to know if you even are eligible. 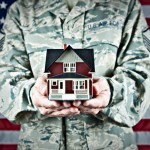 The VA Web site, http://www.homeloans.va.gov/eligibility.htm, has a lot of detailed information about eligibility and other benefits questions, but below are the basic guidelines for VA loan eligibility. Save money today! Pre-Qualify Now! You are the surviving spouse of a Veteran who died during service or because of service-related injuries and you have not remarried. You are Eligible, but can you Qualify? Credit: If you have poor credit, this will not automatically keep you from getting a VA Loan. However, it is important that you have good credit history for the past 12 months (credit history does not mean credit score). This will show your lender that you are capable of making timely payments. Bankruptcy: You will not be automatically disqualified if you have filed for bankruptcy in the past two years, but the bankruptcy must be discharged, and, typically, the circumstances must have been beyond your control (such as unemployment, medical bills not covered by insurance, etc.). Employment: The VA wants to see that you have a history of stable employment for at least the past two years, and that you will remain employed in the future. Income: The VA requires that after you pay your mortgage each month, you have a specific amount of residual income left over. This shows the lender and the VA that you can handle all of your monthly payments. If you have any questions or are unsure if any of these issues might stand in your way, I would suggest you contact a VA Loan Officer, as they can find the answers for your specific situation. Sometimes there are exceptions to each "rule," and your Loan Officer will know if it applies to you. If you are eligible but can’t qualify a VA Loan Officer will also be able to assist you in identifying and overcoming qualification obstactles.